Throw these pin-back pins on your clothing, pin them to your fabric of choice, add them to any DIY art project or put them on your backpack and make your statement. 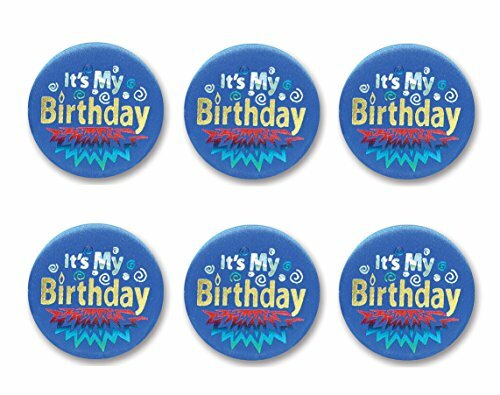 This set of 24 Birthday Button Pins are for telling people that it's your birthday whenever you feel like. Not only you can pin it on bag, jacket, purse, and shirts you can also put it on bed head, desk, display window, showcase, table, TV, or anywhere else you can imagine. 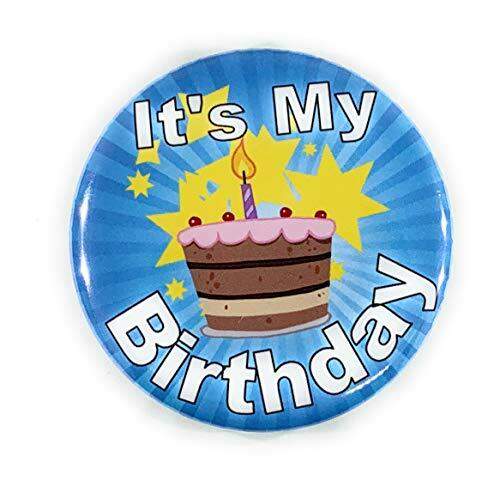 It's My Birthday pin back button. Perfect for any age to get the attention you deserve on your birthday wherever you go! 2 ¼" size, handmade in the USA. Make anyone's birthday brighter! See all our products at our Amazon Store; www.amazon.com/shops/secureidcardllc. Secure ID, LLC also donates 5% of all online sales to a local (Madison, Wisconsin) center for disability! Beistle BN192 Blue It's My Birthday Satin Buttons. Includes 6 satin buttons per package. Make your statement known that it is your birthday. 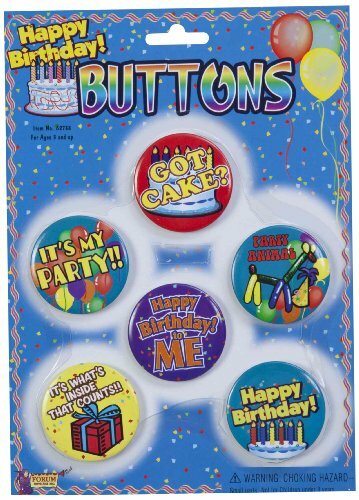 Add to the excitement of your special event with this celebratory button set. 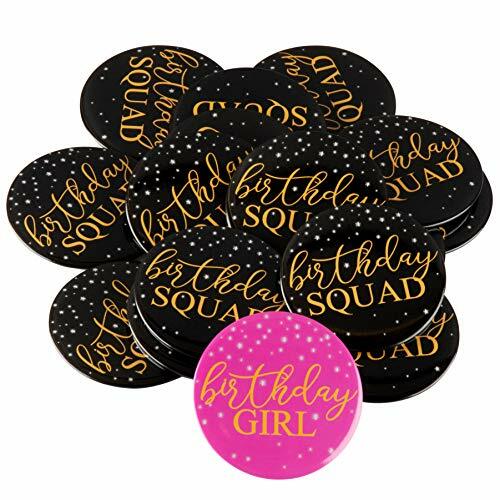 It includes birthday-themed pins to outfit all of your friends, with 1 hot pink birthday girl button and 15 black pins for friends. Each pin has a simple clasp fastener, making it easy to wear on dresses, shirts, hats, or sweaters, or attach to a handbag. The high-quality tin pins are lightweight and durable, with gold text and confetti to give them a festive look. The perfect birthday accessory to complete a birthday outfit. Pin it on your sash, fanny pack or birthday dress for a combo that screams "it's my birthday!" 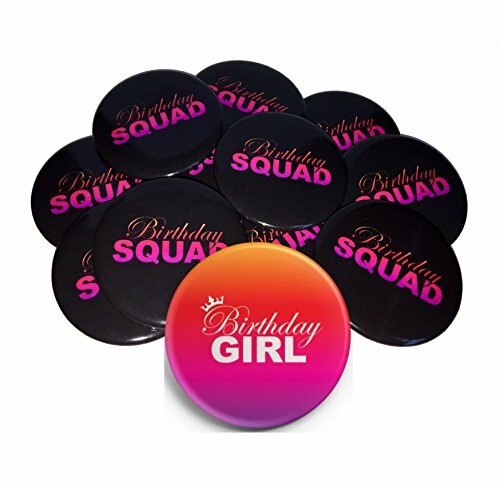 Have a happy birthday with squad buttons that work for men and women celebrating along with the birthday girls. They're easy to pin, durable and will stay on all night. Great for kids birthday parties as well as adult celebrations at bars or at home. 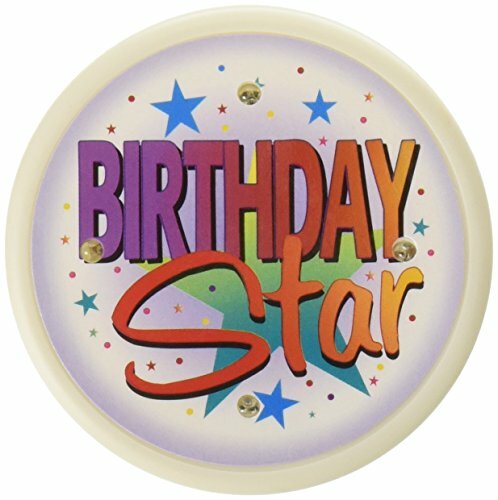 Beistle FB11 Birthday Star Flashing Button. 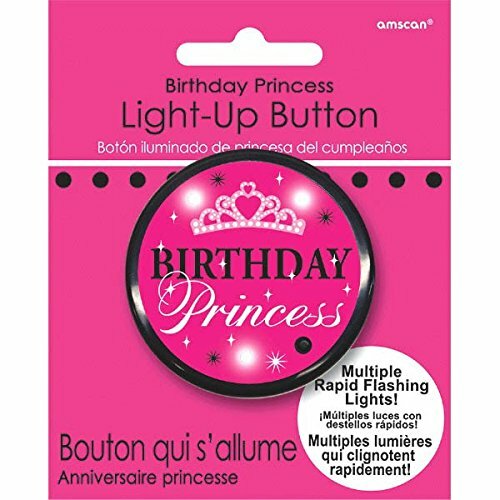 Be a star this year on your birthday with this amazing flashing button! Full of color, it is great for anyone to wear. 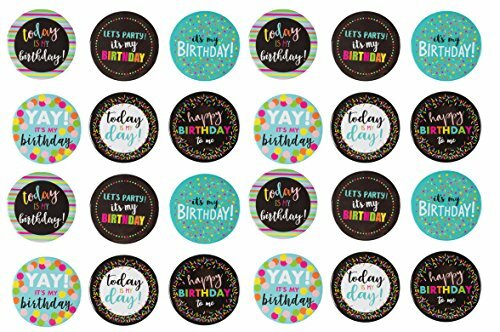 Club Pack of 6 Today's My Birthday Satin Decorative Button 2"
Club Pack of 6 Blue "Birthday Boy" Decorative Satin Buttons 2"